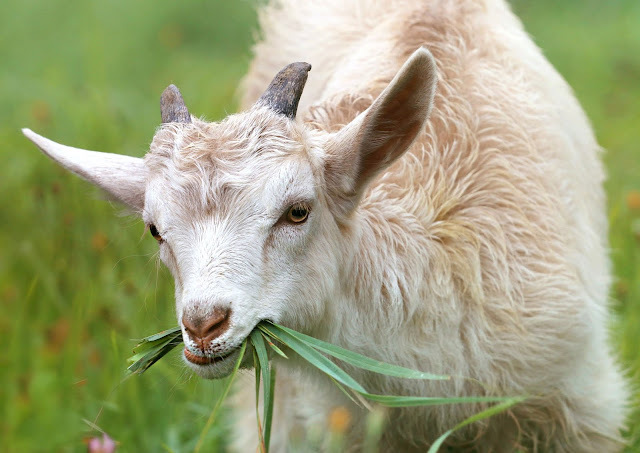 All healthy goats daily make vitamin B in their body. Vitamin B is soluble in water. The goat uses vitamin B made in its body, and the rest takes out its body, the goat can not store Vitamin B in its body, Vitamin B is very important for goat. Vitamin B has two types. If a goat is sick, he is not eating food, then his body does not make vitamin B, this condition is very dangerous for the newborn, because their digestive potential is still developing, and their disease resistance does not get better yet. It is, if the goat should stop eating, then it should give vitamin B. Goat Newborn and Young Kids Health Problems. When a goat feed is stopped, it is necessary to give vitamin B. Vitamin B is essential for the normal nervous activity of goat and the metabolism of carbohydrate. When goat's metabolism slows down, the amount of vitamin B1 i.e. Thiamin is insufficient in its body, resulting in cells die and swelling in the brain. Polioencephalomalacia (goat polio) occurs due to the lack of thiamine in the body. High carbohydrate diets, which have high levels of sulfur, are a major cause of goat polio. Treatment of goat polio requires thiamine injection, In goat diet should remove carbohydrate so that its metabolic activity and stomach become normal. Soybean is a good source of protein for goat but soybean contains high sources of sulfur. Therefore, the amount of soybean should be kept low in goat's diet.